The refugee relocation agreement between Australia and the Kingdom of Cambodia—which marked its second anniversary in September 2016—is simultaneously one of the most extraordinary yet underwhelming components of Australia’s efforts to deter asylum seekers from reaching its territory by boat. The agreement is extraordinary in that it is the first of its kind, involving a traditional resettlement country relocating refugees to a developing country with limited capacity to meet their needs. It is underwhelming, however, in that just five people have been relocated to Cambodia to date under the accord, of which only one still remained in Cambodia at this writing. In its basic terms, the agreement is straightforward. Formally recorded in a memorandum of understanding, the agreement provides that Cambodia will offer permanent settlement to people who originally sought asylum in Australia, were forcibly transferred to the Republic of Nauru for a refugee status determination process, have been determined to be refugees, and voluntarily accept an offer of settlement in Cambodia. The cost of the whole arrangement—believed to run as high as AUD 55 million in total—is covered by Australia alone (Nauru is not a party to the agreement). Apart from these basics, few details about the Cambodia agreement have been clear. Its 17 articles and operational guidelines raise more questions than they answer. Secrecy has shrouded every aspect of its implementation, making it difficult for the Australian public and policymakers—or indeed the refugees whom the accord would impact—to assess how it operates in practice. Two years on from the September 26, 2014 signing of the agreement, this article takes stock and seeks to answer some of the outstanding questions. What does the Cambodia agreement actually entail? What went wrong? And did it ever hold promise as a new model for responsibility sharing, or was it always doomed to fail? Australia has a long history as a destination country for asylum seekers arriving spontaneously by boat, and refugees resettled through formal programs. After the number of people arriving by boat first peaked in 2001, with 5,516 arriving on 43 boats, the government of Prime Minister John Howard introduced a suite of measures to deter people from trying to reach Australia by sea. These combined measures—including boat turnbacks, offshore processing in Nauru and on Manus Island in Papua New Guinea (PNG), and temporary protection visas for refugees settled in Australia—caused the number of boat arrivals to fall dramatically. When the incoming government of Prime Minister Kevin Rudd subsequently dismantled these policies in 2008, asylum seekers once more began to set out for Australia by sea in increasing numbers, with arrivals reaching a peak of 17,202 people on 278 boats in 2012. They came from a range of countries, with significant numbers from Afghanistan, Iran, Iraq, and Sri Lanka in particular. Over the past four years, in response to this increase, Australia has progressively returned to a highly restrictive set of policies to block and deter asylum seekers arriving by boat. Since August 2012, all asylum seekers who have reached Australian waters, and some others intercepted along the way, have been liable to removal offshore for processing in the Pacific (although in practice no new arrivals have been transferred from Australia to a regional processing center since December 2014). Under this policy, asylum seekers arriving between August 2012 and 2014 were screened and detained in Australia before being forcibly transferred to one of the two remote Pacific islands that had previously been used under the Howard-era policies: Nauru and Manus Island. Upon arrival, asylum seekers were detained for lengthy periods in harsh conditions to await the outcome of their cases. While this policy formally remains in place, Australia also began turning back boats in September 2013, and since 2014 all asylum seekers intercepted at sea have been returned to their points of departure as a matter of practice—including to Indonesia, Sri Lanka, and Vietnam. Meanwhile, the issue of what to do next with those who have been found to be refugees on Nauru or Manus Island remains unresolved. Between August 2012 and July 2013, under Prime Minister Julia Gillard’s controversial “no advantage” policy, asylum seekers transferred to Nauru and PNG were given no indication of when they would ultimately be resettled in Australia if found to be refugees. Successive Australian governments have adopted an even stricter position: No one arriving in Australia by boat on or after July 19, 2013 and sent offshore for processing will ever be eligible for resettlement in the country, no matter how long they wait. The purpose of removing Australia as a possible settlement country for anyone arriving by boat is ostensibly to deter asylum seekers from attempting to reach protection in Australia by “irregular” means. However, this policy has done nothing to resolve the backlog of some 2,000 people who have already been transferred offshore and continue to struggle on Nauru and Manus Island without any clear plan for their futures. In October 2015 the processing center in Nauru became an “open center,” giving people greater freedom of movement around Nauru. Similar measures were adopted for the PNG center in May 2016. But movement is still restricted for people on both islands, and there are real security concerns for vulnerable groups. At the same time, the indefinite nature of their situation continues to have deleterious impacts on people’s health and well-being. The Australian governments of Prime Ministers Rudd, Tony Abbott, and now Malcolm Turnbull have affirmed with unwavering consistency that resettlement in Australia is not an option for these men, women, and children. But what other viable alternatives exist? In July 2013, Peter O’Neill, the Prime Minister of PNG, agreed to allow some refugees processed on Manus Island to settle locally, though not necessarily in Manus. By late 2014, however, a domestic plan to implement this promise was yet to be approved. As efforts to finalize a national resettlement plan progressed, UNHCR continued to highlight the formidable challenges and protection concerns that non-Melanesian refugees would face in the country. Safe and sustainable integration into the socioeconomic and cultural life of PNG would not be available for everyone found to be a refugee at the Manus Island processing center. The situation on Nauru was even more tenuous. While the Nauruan government had appeared in 2013 to make a similar offer to settle some refugees, the small republic had limited capacity to do so. Asylum seekers and those determined to be refugees would be permitted to stay in Nauru on an ongoing basis (either in the processing center or outside of it in dedicated residential areas), holding temporary visas renewed every few months at the expense of the Australian government. But Nauru, like PNG, had not offered to take the entire transferred refugee population off Australia’s hands for good. New Zealand extended a modest offer to resettle 150 refugees per year, possibly from Nauru or Manus Island, but it was turned down by an Australian government concerned about “putting a bit of Kiwi sugar on the table for people smugglers,” in the words of then-Australian Immigration Minister Scott Morrison. And so the Australian government faced an immense political difficulty. It continued to insist throughout 2014 that refugees would never be resettled in Australia from Nauru or PNG, but it needed to find an alternative—fast. As the search for a suitable settlement country continued, those detained offshore entered another year of waiting for news about their future. Tensions built as more information leaked out of each detention center about the conditions inside, the United Nations increased pressure for Australia to bring its policies in line with international standards, and two young men died as a result of their incarceration on Manus Island. The physical and mental health of the people being held offshore was reported to be in rapid decline. This is where Cambodia came into play. After extensive negotiations with various countries, the Australian government appeared to identify Cambodia as its best and last hope to avoid backtracking on its position of no resettlement in Australia. While the Cambodian government secured a significant financial commitment under the agreement, Australia hoped to have finally found the last missing piece of its offshore processing polices: a durable, long-term solution. A New Form of Resettlement? Asylum seekers arriving at the frontier of a signatory to the Refugee Convention (such as Australia) generally fall within the responsibility of that country, and resettlement is usually a process by which refugees move from countries of first asylum to others that are better positioned to meet their protection needs. The September 2014 agreement flipped this general practice on its head. Under the new approach, refugees seeking asylum in one country are not only forcibly transferred to a second country with no track record of refugee processing, but are then given no real choice other than to “volunteer” for relocation to a third country that has never before resettled refugees through any formal process. Each step of the process is overseen and financed by Australia, the country which ordinarily would have responsibility for processing and settlement. With governments around the world looking for new ways to manage large-scale displacement and allocate responsibility fairly between them and their regional neighbors, this new approach of contracting out processing and settlement might appear promising. In practice, though, it has proven a failure on multiple fronts. Where Did the Cambodia Agreement Go Wrong? The Cambodia agreement was controversial from the outset. After being negotiated in secret, without transparent consultation with parliament or civil society in either Australia or Cambodia, Morrison and Cambodian Interior Minister Sar Kheng toasted the signing of the accord with champagne at a ceremony in Phnom Penh. The mood was less celebratory on Nauru, where a wave of protests and a dramatic spike in self-harm swept through the asylum seeker and refugee populations. The Cambodia agreement came the same week as news of an Australian law that would make people who had arrived by boat before July 19, 2013 eligible for temporary protection visas in Australia. The sense of injustice at the alternative fate in Cambodia for those who had arrived after this date was too much for some on Nauru. Emergency medical transport scrambled to evacuate a teenage girl to Australia after she reportedly swallowed washing powder and began vomiting blood. Other women who had also ingested laundry detergent received medical treatment on the island. A group of men and boys stitched their lips together. Unaccompanied children slit their wrists with razors. There were rumors that one man slit his own throat while another beat his head against a fence and with a rock until he lost consciousness, in the presence of children. Staff in the camp reported multiple mass suicide pacts. The terms of the agreement—insofar as they were subsequently made available to the public—added to the confusion. Key details were missing or unclear, and contradictory statements by Australian and Cambodian government officials suggested there may never have been consensus on the most important matters. How much would the entire arrangement cost, in terms of payments to Cambodia and for settlement services once refugees were there? The agreement was open-ended and vague, never mentioning specific dollar amounts. How many people would the agreement cover? Morrison claimed that as many as 1,000 refugees could be relocated, but Kheng said only that “three to four” refugees would be accepted at first as “a trial.” When would the agreement be activated? It was initially suggested that the first refugees would be relocated before the end of 2014, but by 2015 it began to look as if nobody would go to Cambodia at all. During early visits by Cambodian delegations to Nauru in the first few months of 2015, no volunteers for relocation were forthcoming. Rumors began to spread about what was happening on the island at this time, and how far the Australian government might have been prepared to go to avoid the embarrassment of the agreement failing before it began. Confidential sources claimed Australian immigration officials had approached particularly vulnerable asylum seekers within the detention center on Nauru, and put pressure on them to accept relocation even though they had not yet had their asylum claims determined. If these rumors were to be believed, people had been offered a fast track to a positive refugee determination if they elected to go. Some staff claimed that refugees were promised all manner of services and support in Cambodia, regardless of whether or not they really existed. This uncertainty about the entitlements, services, and quality of life that refugees could expect in Cambodia was one of the greatest obstacles to implementation of the agreement. It was not clear where people would be housed, and whether after an initial period of adjustment they would be forced to move outside the capital city, where appropriate support might not be available. There were no guarantees that Australia would continue to guarantee access to health services, education, and employment opportunities for as long as required by refugees relocated to Cambodia. For refugees struggling with life in limbo on Nauru, it was an impossible choice between staying in hardship or going to the unknown. The Australian government has periodically suggested that more refugees may be considering relocating to Cambodia, but no such movement has materialized. Two years on, the Cambodia agreement has proven to be arguably the most expensive and ineffective way of relocating one single person, to a country he has said he would leave if he could. What Lies Ahead for the Cambodia Agreement? The future of the Cambodia agreement (and any other arrangement of a similar nature that might be reached) is inextricably linked with the future of Australian offshore processing policies. Four years after reopening the centers on Nauru and Manus Island, the Australian government still has no answer to where and when the people found to be refugees there will be resettled. As domestic and international pressure builds for the situation to be resolved, the Supreme Court of PNG has ruled the detention of people at the male-only center on Manus Island to be illegal and unconstitutional, thereby triggering their “release” into a new phase of limbo. The men previously detained at the center now have some freedom to move around Manus Island, but remain limited in their ability to move on from there, and are fearful of violent clashes with some of the locals. The PNG and Australian governments have indicated that further announcements will be made “in due course,” but details of the alternative arrangements under consideration have yet to emerge. Some refugees have been moved to Lae, the second-largest city in PNG, but there are grave fears for the safety and well-being of these and other men who may be sent there and expected to integrate. On Nauru there appear to be even fewer options about where refugees might ultimately be settled. Other than Cambodia, various possibilities have been floated, including the Philippines, Kyrgyzstan, Canada, and Malaysia, but no concrete resettlement offers have materialized. Meanwhile the Australian government has contracted a new organization to provide services to the lone refugee still left in Cambodia under the agreement. Whereas previously the International Organization for Migration (IOM) was contracted to fill this role, the agency appears to have been either replaced or supplemented by Connect Settlement Services, which provides settlement services to refugees on Nauru. Rumors abound about what might have triggered the change, and the reasons why IOM might have pulled out of its agreement with Australia. As with most aspects of Australian asylum policy, the truth is murky. Looking to the future, there are two imperatives. First, the men, women, and children found to be refugees on Nauru and the men on Manus Island need an urgent resolution to their cases. After years of waiting in limbo, living in conditions falling well short of what is required by minimum human-rights standards, and exposed to violence and abuse that has been widely documented by rights groups, the United Nations, and Australian government inquiries, the people being held offshore face dire issues of mental health and overall well-being. Experts on both islands describe adults and children deteriorating so quickly and drastically that they do not have years or even months of resilience left. An outcome is long overdue. Second, refugee-rights organizations make clear that this outcome must be appropriate to people’s needs. In addition to the basic services and support that any resettlement country and program should provide, the resolution to these cases must take into account the additional harm they have endured during their prolonged detention and time spent in limbo in Nauru and PNG. Many of these adults and children will require long-term psychological support to help them recover from their experiences since arriving in Australia. Organizations working with these groups say specialized counseling will be particularly necessary for those who have been raped, assaulted, or otherwise abused in the detention centers or settlement camps, as well as for the families that have fallen apart as a result of detention conditions. Human-rights groups also point out that appropriate access to a suitable health-care system will be vital for the people with serious health concerns that have been left unaddressed or inadequately treated for months or years on end. Those whose education and employment have been interrupted during their detention will also need additional support to help them regain their independence and rebuild their lives. Above all, the 2,000 people who have been trapped in the “parallel universe” of offshore detention for the last few years will need strong communities to help them readjust to freedom, and settle into life in their new countries. Australia’s legal obligations to remedy the harm caused by its policies would suggest that people can only be resettled to countries where these services are already in place, and which have the capacity to meet their needs now—not at some aspirational point in the future. Andrew & Renata Kaldor Centre for International Refugee Law. 2016. Transfer Tracker. Andrew & Renata Kaldor Centre for International Refugee Law, July 19, 2016. Available Online. Cochrane, Liam. 2016. Last Nauru Refugee in Cambodian Resettlement Program Set to Lose Australian Assistance, Australian Broadcasting Corporation, June 3, 2016. Available Online. Doherty, Ben. 2016. Refugee with Growing Breast Lump Has Medical Transfer from Nauru Cancelled, The Guardian, August 6, 2016. Available Online. Doyle, Kevin. 2015. Welcome to Cambodia: What Australia Isn't Telling Refugees, BBC News, May 27, 2015. Available Online. Gleeson, Madeline. 2016. 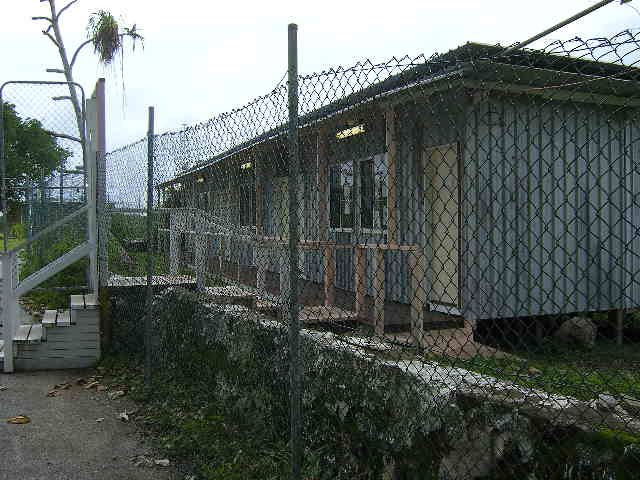 Offshore: Behind the Wire on Manus and Nauru. Sydney: NewSouth Publishing, 2016. ---. 2016. The Cambodia Agreement. Sydney: Andrew & Renata Kaldor Centre for International Refugee Law, 2016. Available Online. Governments of Australia and the Kingdom of Cambodia. 2014. Memorandum of Understanding between the Government of the Kingdom of Cambodia and the Government of Australia Relating to the Settlement of Refugees in Cambodia. September 26, 2014. Available Online. Handley, Erin and Shaun Turton. 2016. With One Nauru Transfer Remaining, Second Oversight Agency Added, Phnom Penh Post, August 9, 2016. Available Online. Karlsen, Elibritt. 2016. Australia’s Offshore Processing of Asylum Seekers in Nauru and PNG: A Quick Guide to Statistics and Resources. Research Paper Series 2015-16, Australian Parliamentary Library, June 30, 2016. Available Online. Murdoch, Lindsay. 2016. Remaining Two Refugees in Cambodia Rue Leaving Nauru, Sydney Morning Herald, March 13, 2016. Available Online. Namah v Pato. 2016. PGSC 13; SC1497. Supreme Court of Papua New Guinea, April 26, 2016. Available Online. Phillips, Janet. 2015. Boat Arrivals and Boat ‘Turnbacks’ in Australia Since 1976: A Quick Guide to the Statistics. Research Paper Series 2015-16, Australian Parliamentary Library, September 11, 2015. Available Online. Schwartz, Dominique. 2013. Criticism for Australia-NZ Asylum Deal, ABC Radio Australia, February 11, 2013. Available Online. Tlozek, Eric. 2016. Refugee Tries to Return to Detention on Manus Island After Resettlement in Lae, Australian Broadcasting Corporation, March 31, 2016. Available Online. United Nations High Commissioner for Refugees. 2013. UNHCR Monitoring Visit to Manus Island, Papua New Guinea: 23 to 25 October 2013. November 26, 2013. Available Online. ---. 2014. UNHCR Statement on Australia-Cambodia Agreement on Refugee Relocation. News release, September 26, 2014. Available Online. Whyte, Sarah and Lindsay Murdoch. 2014. Champagne, Heckling as Cambodia, Australia Announce Deal to Resettle Refugees, Sydney Morning Herald, September 26, 2014. Available Online. Madeline Gleeson is a lawyer and Research Associate at the Andrew & Renata Kaldor Centre for International Refugee Law at the University of New South Wales in Australia. She is the author of Offshore: Behind the Wire on Manus and Nauru.